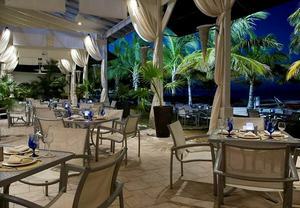 ISLA VERDE, PUERTO RICO--(Marketwire - Feb 20, 2013) - For the past 10 years, the Courtyard Isla Verde Beach Resort has offered attentive service, luxurious accommodations, delicious dining and top entertainment to travelers. To celebrate its 10th anniversary, this hotel in Carolina, Puerto Rico is offering visitors the chance to experience the resort and explore all the island has to offer. Guests of this San Juan beach resort can Explore Puerto Rico the way they want with this special offer, which includes a $100 debit card, 20% off car rental, 20% off tours from Dragonfly Adventure and accommodations in a luxurious room. Available through April 30, 2013, this offer has rates as low as $179 a night. To book the Explore Puerto Rico offer, visit www.marriott.com/hotels/hotel-deals/sjuiv-courtyard-isla-verde-beach-resort/, or call 1-800-228-9290 in the U.S. Promotional code W21 must be entered/mentioned at the time of booking. A minimum four-night stay is required. No party would be complete without something new to wear, and at the celebration for its 10th anniversary, this Isla Verde beach hotel announced plans to bring in its 11th year with grand style in the form of an $11-million renovation, expected to be completed later this year. Guest rooms are at the heart of the revamp and will be refurbished complete with new modern bathrooms. Elsewhere on property, upgrades will include a new lobby and entrance which will pair well with the hotel's new oceanfront boardwalk that was completed last year. The renovation will make this resort an even more appealing wedding and event destination. With an average of 75 weddings a year, the Courtyard Isla Verde Beach Resort has perfected the process with professional event planners, superb custom catering and nearly 7,000 square feet of event space. Outdoor venues take advantage of the beachfront location, and an address near San Juan Airport makes this a convenient choice for out-of-town wedding guests. For more information about the Courtyard Isla Verde Beach Resort, visit http://www.marriott.com/hotels/travel/sjuiv-courtyard-isla-verde-beach-resort/. Set on Puerto Rico's finest beach, the oceanfront Courtyard Isla Verde Beach Resort is a destination for vacationers, couples and corporations alike. Less than a mile from San Juan Airport, this Carolina hotel puts visitors close to Old San Juan, where shopping, dining and nightlife await. However, guests needn't leave the resort for fun. Spend mornings in the fitness center or one of two pools, take a midday break in the game room, learn San Juan salsa in the early evening and stay up past bedtime at the 24-hour casino. Retire to a modern and spacious guest room featuring a private balcony with beautiful views, a 37-inch LCD TV, minifridge, complimentary high-speed Internet access, in-room safe, coffeemaker and bed outfitted with custom comforter and thick mattress. Meals are an adventure with numerous options to choose from. Find something for everyone at Salsa Restaurant's extravagant buffet, enjoy an evening of seafood and mojitos at Sirena Restaurant, get into the spirit with daily live music at Picante Lounge, sip cocktails poolside at Papaya Oceanfront Grill or cool off with something from Bananas Ice Cream Parlor. For the past 10 years, the Courtyard Isla Verde Beach Resort has offered attentive service, luxurious accommodations, delicious dining and top entertainment to travelers.